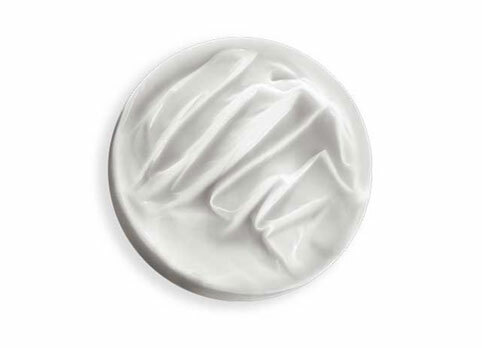 Crème Chronologiste Travel-Size Hair Mask is rated 4.5 out of 5 by 40. On wet hair, apply a quarter size amount of Crème Chronologiste and massage from scalp to ends. Leave in for 5 minutes before rinsing thoroughly. Rated 4 out of 5 by Kaamini from Its great I bought this a month ago i used itt justt two times but even after a single use it makes my hair very manageable softt lightt airyy.i m in love with dis . Rated 5 out of 5 by Ketlin from Great This one is really good for dry hair, I only use this one, shampoo and mask. I love the results. Rated 5 out of 5 by Kelly T from Love this conditioner I will start off by saying I’m never a huge fan of reviews because each person is so uniquely different, that one thing that may work perfectly for one person, doesn’t work well on another. However, I feel like I have to post this review for two reasons: 1. The Bain Chronologiste shampoo and conditioner line is hands down the best shampoo/conditioner duo I’ve ever tried (and I LOVE trying new hair products... Oribe, Ouai, R&Co, Bumble & Bumble... none of which hold a candle) and 2. The experience I had today with customer service was exceptional! With my last order, I decided to try the pre-shampoo scalp scrub, which unfortunately caused some irritation to my scalp. I reached out to customer service to see if I could exchange or return, and they not only took care of it immediately for me, but we’re incredibly kind about it, as well. There’s nothing better than a high quality product and a company that stands behind what they sell... I applaud Kerastase for that. In a nutshell, I have thick, wavey, uncolored hair that can easily get greasy at the scalp but stay dryer down the hair shaft. I lather twice with the shampoo (first shampoo is next to no lather, second shampoo is glorious lather) and condition from mid strand down. The shampoo is so nourishing that I actually can comb through it with no conditioner (but I would never dream of skipping it!) The conditioner maintains the silky feeling and rinses our beautifully. For me, the finished product is incredibly soft and shiny with a really nice slip. I still have to wash my hair every day to stay totally grease free, but this line can help me squeak out a second day wash-free if I’m really in a rush. I’m a bit surprised about some of the negative reviews because I think everything about this shampoo/conditioner line is amazing, but it just goes to show you we’re all different and have to judge on our own individual experiences. I’m a fan for life. Rated 5 out of 5 by BrendaLongLocks from Changed my hair! I have used other product lines by Kerastase, but this one has been the most amazing on my long thick hair. Worth every dollar!! Rated 5 out of 5 by Alex27 from Amazing If you ever doubt to put a hair mask/cream on your scalp don’t think twice. This mask is like gold for your scalp and lengths. I have oily hair sometimes and I wash every other day. This mask left my hair VERY CLEAN no residual no itchiness just perfection. I even used a little bit on my 5 year old son because he loves the smell of it and I’m very skeptical when it comes to hair care and skin care I like quality and I know this beautiful European brand will always stand high. Rated 4 out of 5 by DenverSmiles from Great Conditioner, Terrible Scent This masque is wonderful for my long, curly hair, making it very soft and manageable. The scent, however, is very masculine and, quite frankly, smells like inexpensive men's cologne.